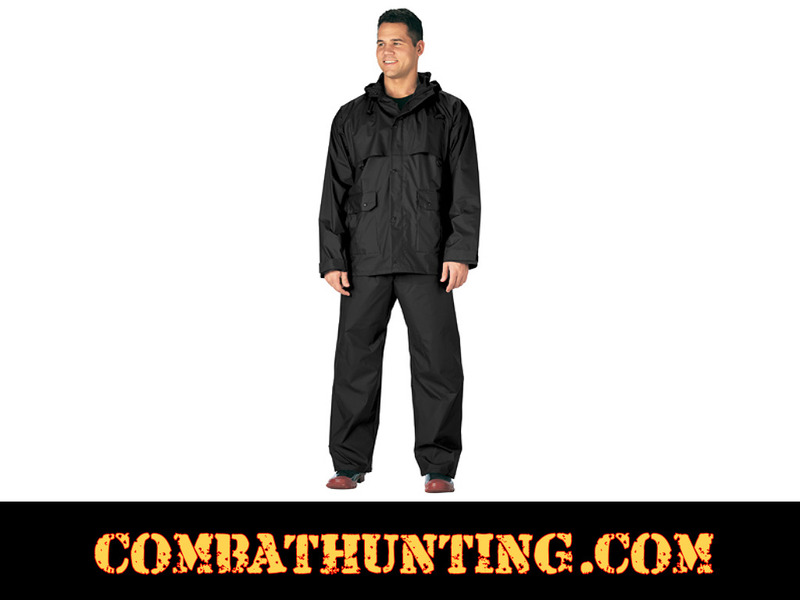 Rothco Black 2 Piece Microlite 2 Piece PVC Coated Nylon lightweight Rainsuit great for backpacking, motorcycle or Golf. Rain Suit features a durable .20MM PVC/Coated Nylon, lightweight, abrasion resistant, ventilated cape design, hook & loop wrists, dual-entry pockets, nylon lining, drawstring hood, elastic waist. Available in Black and Navy.